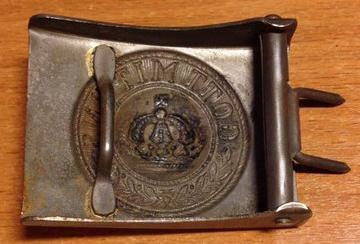 Prussian belt buckle - original or fake? 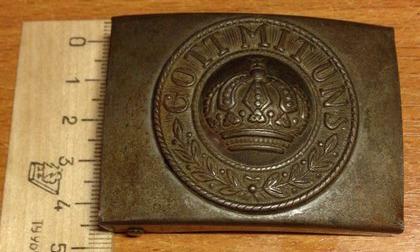 Dear gentlemen, could you please let me know whether it's an original WWI Prussian belt buckle or a modern-day reproduction/copy/fake? Thinking of buying it but need advise to be on a safe side! Unfortunately I don't have better photos as these are the only two provided by a seller. So far I don't see any red flags here. If the price is right I would grab it.